If you have read the reviews of Honda Pilot for previous years, it is time to change your opinion for good because 2016 Honda Pilot is completely redesigned. It is all and above what you expect from a Compact SUV. Inside-out, Honda Pilot has come a long way from the pretentious SUV to an actual crossover. This year if you are looking for a three-row large crossover, then this car should be your pick. Though it costs a little more than other SUVs of its class, 2016 Honda Pilot also offers the comfort, luxury and convenience for the price it asks for. With a V6 engine comes other family-friendly features, including high quality safety features and reliability. The interior space is smartly redesigned to meet the needs of a full-fledged family car. 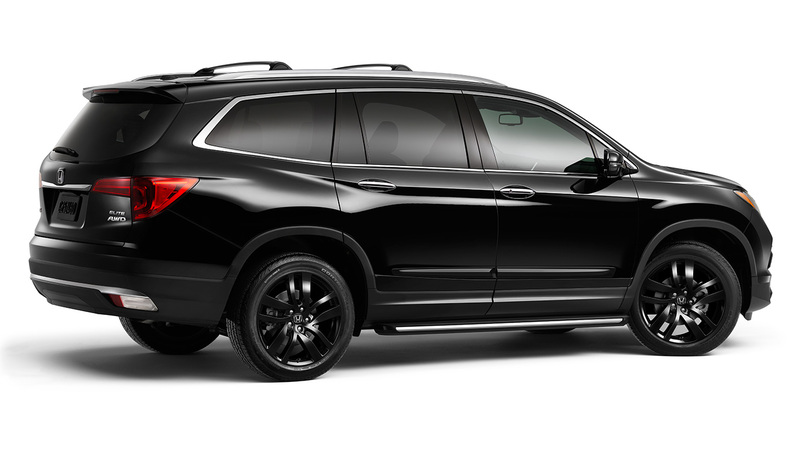 If in one line we have to define this car, it is that 2016 Honda Pilot is value for money. Read through this 2016 Honda Pilot review to know more. 2016 Honda Pilot Price starts at $31,045 for the base variant, which is the LX model that includes basic features of rearview camera, stereo with Bluetooth and USB, and tilting steering column. Take the price up to $42,070; the Touring model will give button-operated second row seats, climate control, LED lights in the cabin, USB ports in the second row, power adjustable driver’s seat, and an upgraded entertainment system. For those who want it all, there is the top variant of $47,955, called the Elite. Standing true to its name, Elite gives you all-wheel drive feature, air-conditioned front seats, huge sun-roof, lane-driving assistant, and many other features like roof-rail crossbars and Honda Sensing. As seen in 2016 Honda Pilot Specs, this car will undoubtedly give a power-packed performance with its V-6 engine. The car feels light to drive and handling is easy on both city roads and highway. The 6-speed automatic transmission in the base variants, and 9-speed automatic in the Elite is backed by 280 Horsepower. Front-wheel drive is what you get as a standard, but one can also opt for all-wheel drive. At 5,000 pounds, the car also comes equipped with traction management system. Behind the wheel, the car gives a luxurious feel with its relaxed steering size. In the all-wheel drive system, the torque is impressive and cuts smoothly at the corners. Even with the large wheels of 20 inches, the car is smooth at corners and gives a swish ride on curvy roads. The fuel economy for a compact SUV is also impressive with 19 MPG in city and 27 MPG on the highway, giving a combined 23 MPG. From the Boxy look to a fresh and smooth rounded shape, 2016 Honda Pilot has won more hearts than its predecessor. The new shape given to the compact SUV is more appealing and soft, and giving up the box shape was the best Honda could do to this beauty. Not only does the car have more elegance attached to it now, it is giving a tough time to its luxurious counterparts. The low lying front end and the horizontal grille looks handsome on the go. Resembling CR-V and HR-V, Pilot now has a more family-car feel to it. The sleek lines speak volumes of the work behind the new design, and it stands out in the crowd of similar range compact SUVs. The LED headlamps and the exquisite taillight design gives an elite look to the car as well. Check out the 2016 Honda Pilot Photos and see for yourself! Just like the exterior, the interior is also swapped for good. The 2016 Honda Pilot interiors are seen to have inspirations from Accord and CR-V; including the huge roof in top variants that flood the cabin with natural light. The three-row seating arrangement can take up to 8 passengers at once. The second row is adult-friendly this time, and there is also an option to get captain chairs in that row. Along with that, the seat reclines for long-trip comfort. The tray tables and cup holders are in it so that you have a good time in the cabin. The second row can be folded with a button, and you can have access to the third row with ease. Two adults can easily sneak into the third row and sit comfortable with ample of head room and leg room, which is rare even in SUVs. Similarly, the cargo space is good too. Flat out the third row and there is a huge cargo floor. The surfaces are far better than the previous years that felt very plastic. 2016 Honda Pilot is given a luxurious touch and no one will mind paying higher for that. The performance of this car is great, which is clearly seen in this 2016 Honda Pilot review. With these additional features, the car is definitely worthy of consideration. The Honda Sensing, which is available in all variants of the car except the LX, gives lane-driving assistance, adaptive cruise control, rear cross-path detection and many other safety systems. The refined version of Honda Sensing is one of the best Honda has ever added to its vehicles, and goes well with Honda Pilot as well. Apart from the folding seat cargo area, there is an additional hidden cargo area in 2016 Honda Pilot. It is the under-floor storage area. Giving almost three cubic feet additional storage, the under-floor storage area comes with a reversible cover that is handy and easy to clean as well. The extra space makes it a handy car where the entire family can fit in along with lots of luggage and utilities. 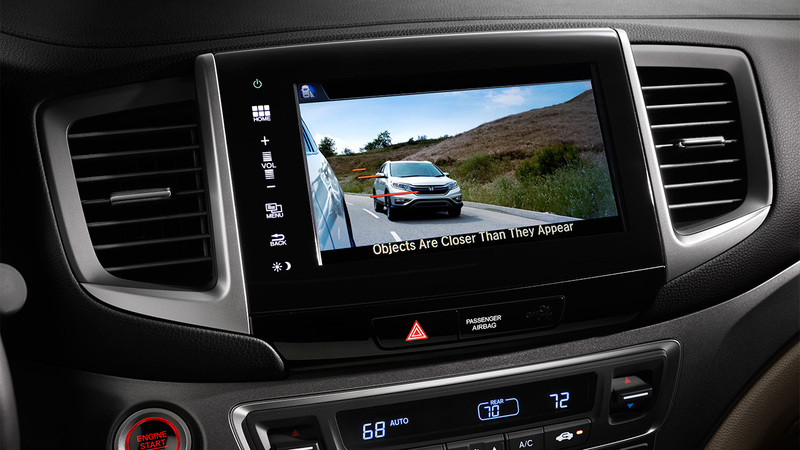 Apart from the standard ABS, traction and stability control, airbags, and rearview camera, 2016 Honda Pilot comes loaded with a Honda LaneWatch camera that covers the blind spots of the road as well. Though it is not available in all the variants, it can be added in the base models. The front and rear parking sensors makes this huge vehicle easy to park as well. Honda Sensing, available for EX, EX-L, Touring and Elite models, takes care of forward collision warning, automatic braking, adaptive cruise control, and such safety warnings. Honda has ensured that a proper safety package is tagged along with its redesigned Honda Pilot, leaving behind their mistakes of the past. The Compact SUV segment is a rage currently and so 2016 Honda Pilot has to face a tough competition with 2016 Toyota Highlander, 2016 Chevrolet Traverse, 2016 Ford Flex, and 2016 Hyundai Santa Fe. Though, combining and comparing all the features, Honda Pilot bags the top position, it needs to watch every move of its tough contenders, Toyota and Chevrolet. With 3.5 Liter V-6 engine, the 2016 Honda Pilot stands strong. No doubt, it is a better version compared to its previous models. And that is the reason 2016 Honda Pilot reviews are so favorable. The car is built solid, yet light-weight, and looks much under control with its top-end safety features. With great suspension, this vehicle moves with ease. With lower-end models having 6-speed automatic transmission and the Elite (top model) carrying 9-speed automatic transmission, this Honda product looks promising. I am a marketer by profession and a writer by choice. After 6 years in brand management, I am finally trying to give wings to my entrepreneurial spirit.